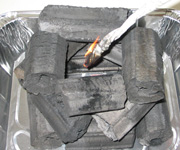 A simple way to light up charcoal is to neatly stack charcoal to a height and light up fire starter as illustrated below. 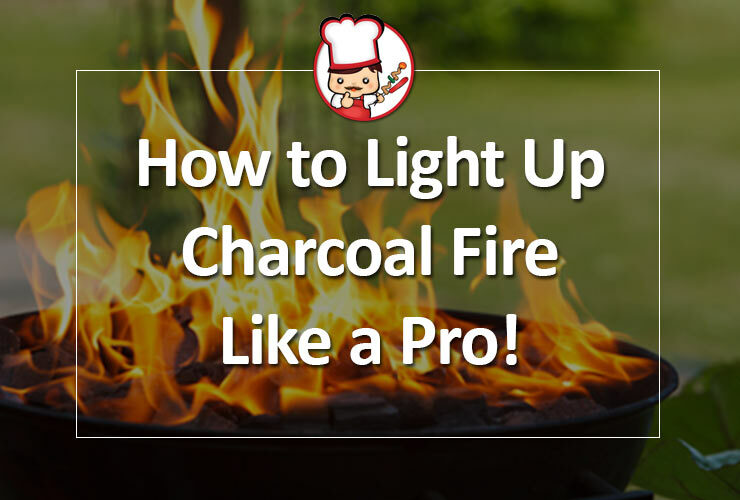 The important trick is to wait patiently for the charcoal to be red hot before spreading out. 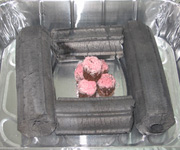 Do not light charcoal inside your house as it is dangerous and smoky. 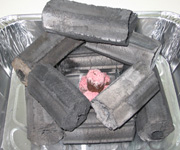 Put fire starter at center of the pit and surround it with charcoal. 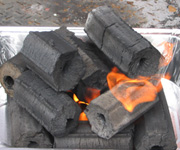 Stack charcoal neatly into a pile until fire starter is covered. Light up the fire starter with a piece of paper or match stick. Leave it burning for at least 15 mins till coal is red hot. 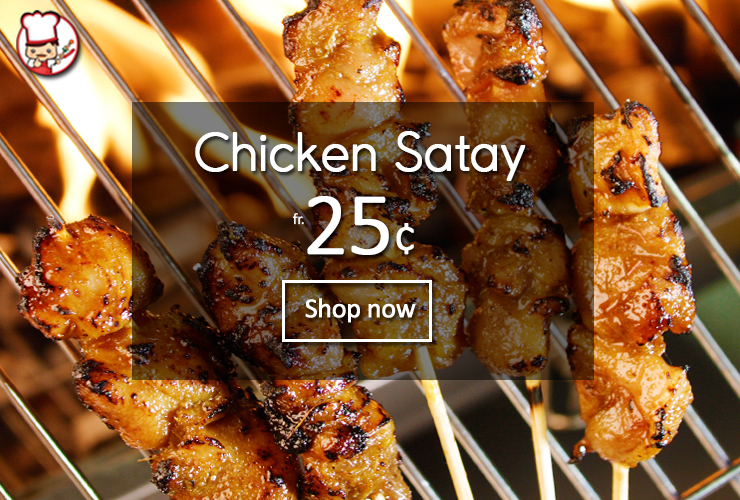 Spread coals evenly and start grilling.